Excellent for tournament players seekings extra powerful return shots, the Karakal KTT 500 is a five-star tournament standard table tennis bat ideal for experienced, offensive type players. 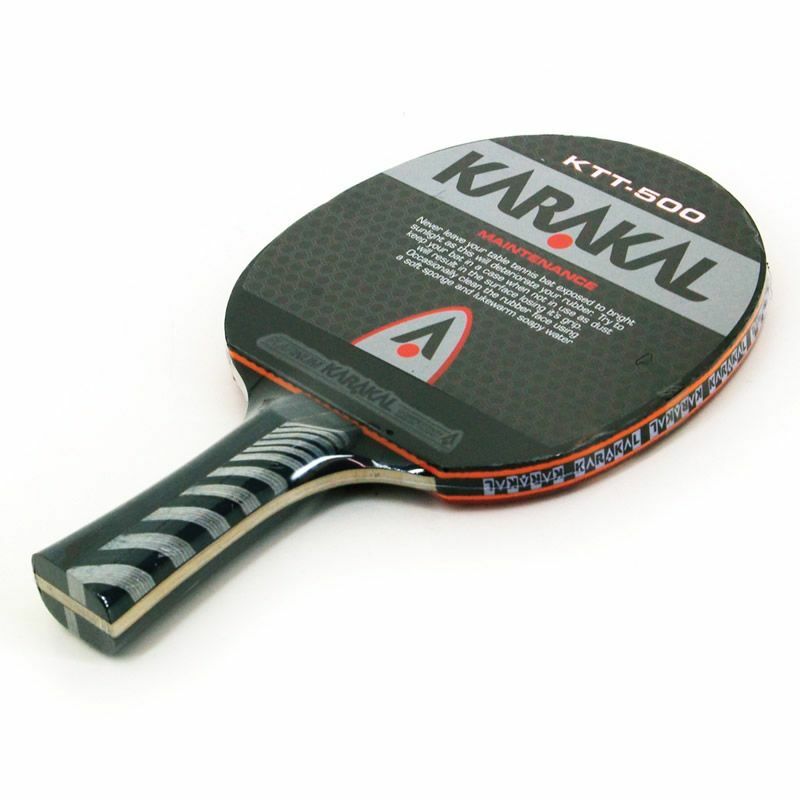 Providing increased resilience and much lower weight, the 6mm thick blade is made from paulownia wood and coated with Kerto surface for enhanced stability and manoeuvrability. 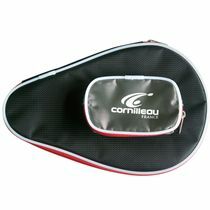 Padded with platinum 40W 2mm thick attack sponge, the bat encourages a more aggressive playstyle, due to better ball rotation and impact reduction on returns, and features hardwood core to ensure more control and speed during intense loops and tricky shots. 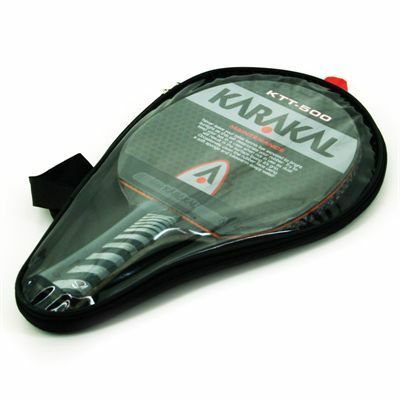 Moreover, the handle has a flared shape which provides a more relaxed grip during longer table tennis sessions. For your leisure the bat arrives in full protective cover. for submitting product information about Karakal KTT 500 Table Tennis Bat We aim to answer all questions within 2-3 days. 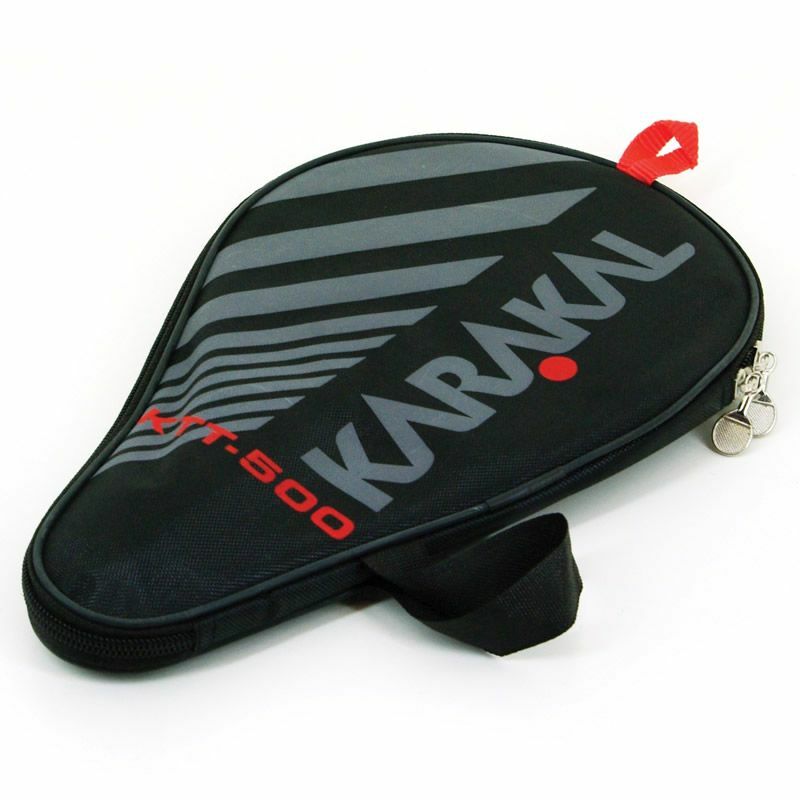 for submitting product information about Karakal KTT 500 Table Tennis Bat. We aim to answer all questions within 2-3 days. If you provided your name and email address, we will email you as soon as the answer is published. Good product made better by sweatband low price and superfast delivery does everything I need. 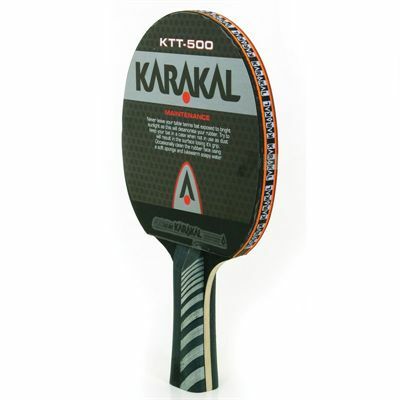 for submitting product review about Karakal KTT 500 Table Tennis Bat.